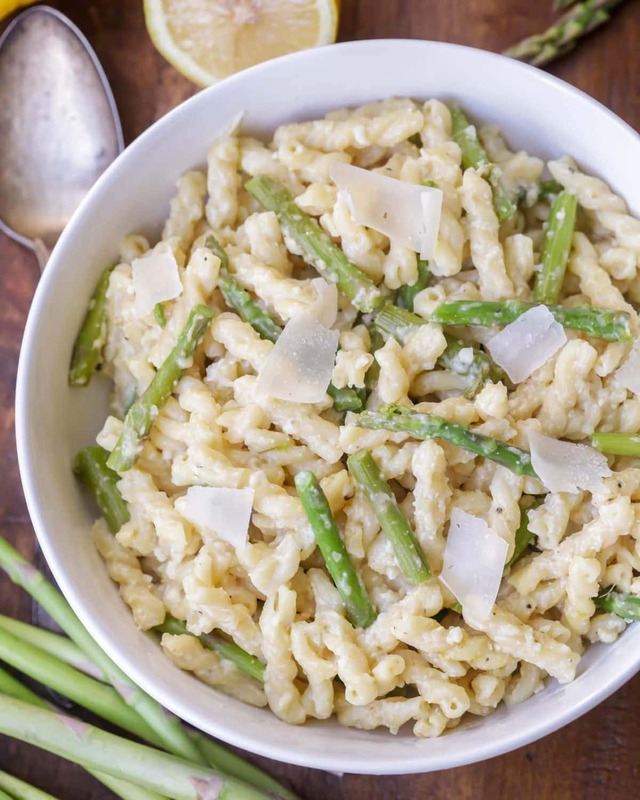 This Lemon and Asparagus Pasta is so simple, yet packed with amazing flavor! Penne (or your favorite) pasta, mixed with asparagus, and covered in a cheesy sauce with just a hint of lemon. 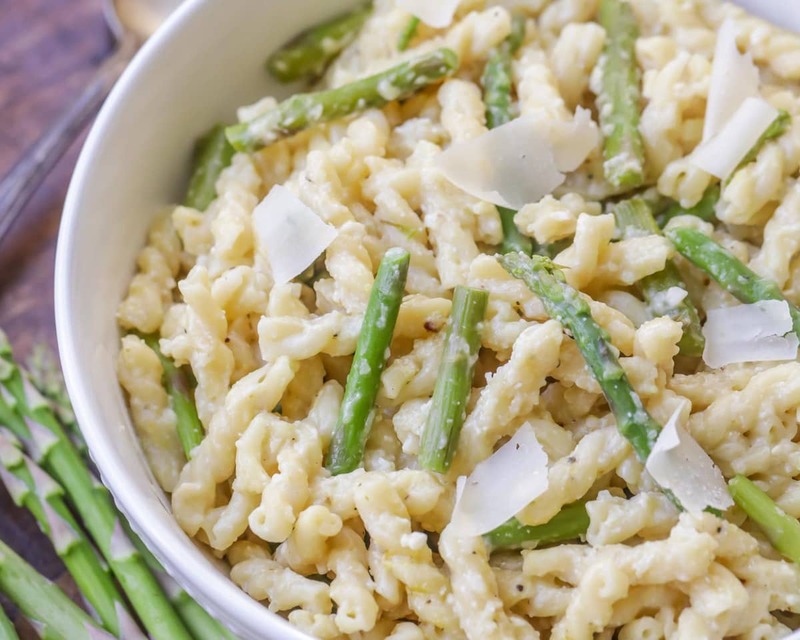 Pasta with asparagus has become a new family favorite! I’m sure you have noticed by now that we are HUGE pasta lovers! We love trying out new pasta dishes (like today’s Lemon and Asparagus Pasta) and love sharing with you our favorites. This next recipe is a new FAV that I think you’ll enjoy just as much as we did. 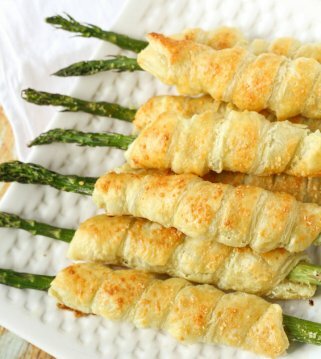 I think we were a little partial since we also love asparagus, and this recipe is loaded with the delicious veggie. 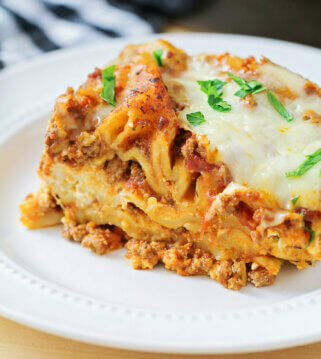 It also has cheese, and you just can’t go wrong with cheesy pasta dishes – am I right?! This Asparagus Pasta was delicious, but we are thinking we will add some cooked chicken strips to go with it. 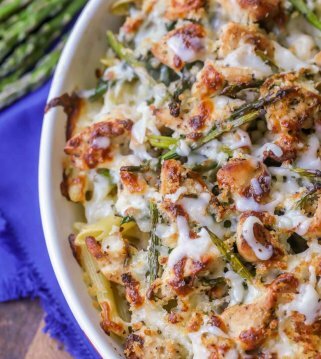 It reminds me a bit of the Chicken and Asparagus Pasta but it obviously has more of a lemon taste to it. 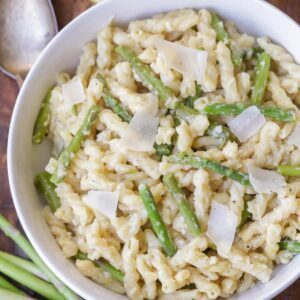 Bottom line, if you like lemon, and pasta and asparagus, then you’ll definitely want to try this recipe. You can never go wrong with cheese and pasta!! Since we’re slightly obsessed with pasta, you can bet we make this as often as we can. 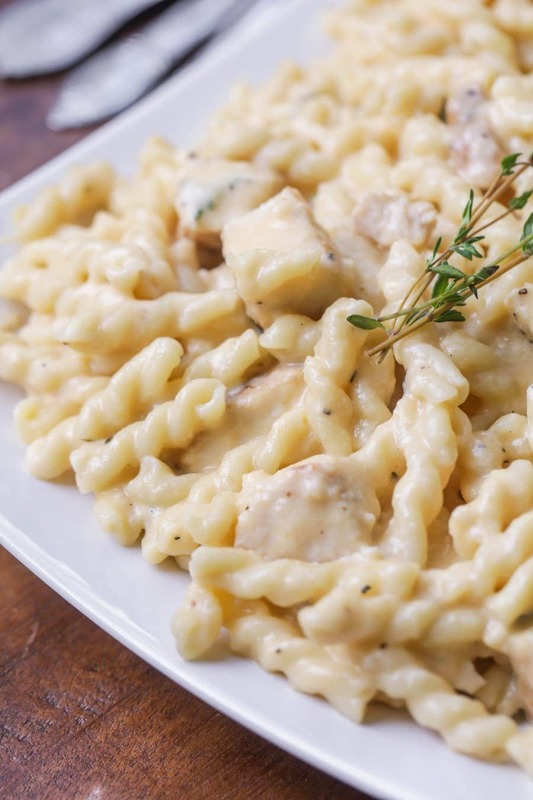 Sometimes we use penne pasta, but other times we use gemelli (the pasta that’s pictured). Honestly, any pasta that’s on hand works great. 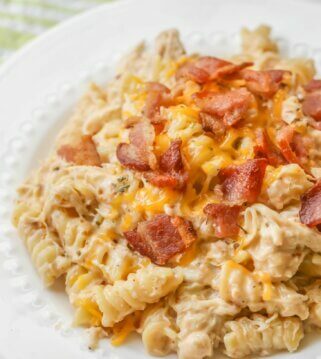 Either way, the whole family enjoys this cheesy pasta with the perfect hint of lemon, and I bet yours will too! Top with remaining shaved Parmesan cheese as a topping. ENJOY! For all pasta recipes, CLICK HERE. For all main dish recipes, CLICK HERE. I just made this and loved it! So easy and so yummy. YAY!! Glad you liked it. ;D Thanks for stopping by! Thank you Kristyn. 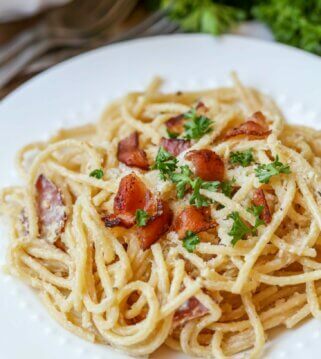 Love pasta dishes. Just made this for “meatless Monday,” and it was delicious! Added some kale to the pasta and asparagus before stirring in sauce, and added toasted almond slivers to the garnish to a little extra meatless oomph. Otherwise followed recipe as written. It’s a keeper! Love what you added!! We love this recipe and I’m so happy that you liked it as well:) Thank you! Loved this sauce! I sautéed my asparagus with garlic and some capers instead of boiling it with the noodles (texture thing for me). The sauce was surprisingly light, but coated the noodles well. We also grilled marinated chicken breasts to add to it. My husband and I both liked it, so we will definitely make it again. Thanks for sharing! Oh, those sound wonderful..what great changes!! Thanks so much for sharing!! 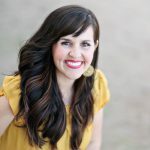 Just pinned this recipe and cannot wait to try it! 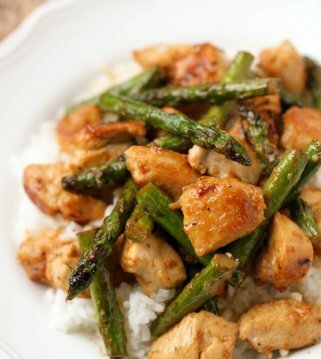 I love asparagus and am always looking for new ways to eat it instead of just roasted or grilled. Then you’ll love this! I hope you like it 🙂 Thank you! I was wondering how much lemon zest to use? I see the zest in the directions but not in the ingredient list. Thanks! Sorry 🙂 You can add a tsp or as much as you liked…depending on how much lemon you like 🙂 Hope that helps! This dish looks great, I like this dish. Thank you! It is one of my favs! This looks fabulous. an it be served room temperature? I want to make for easter but don’t want last minute prep. It sure could. Thank you & enjoy!